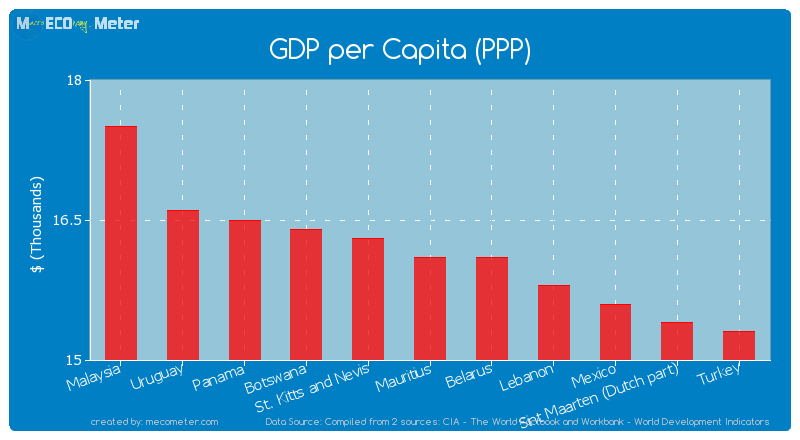 Value & RankThe GDP per Capita (PPP) of Mauritius is 16,100 ($) with a global rank of 80. 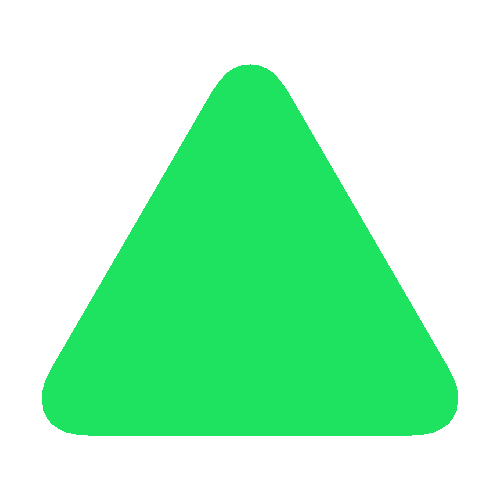 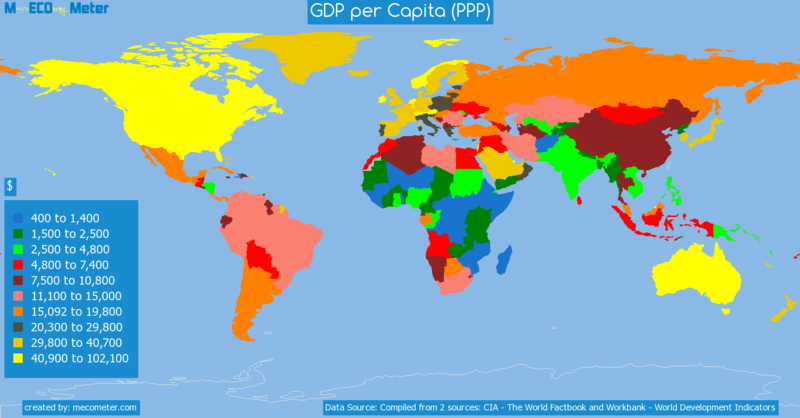 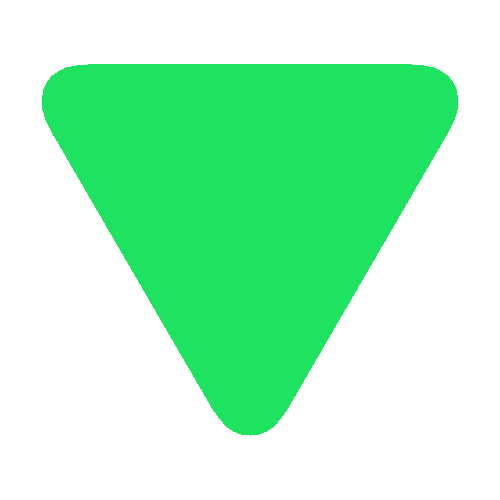 Mauritius compared to other CountriesThe GDP per Capita (PPP) of Mauritius is similar to that of Malaysia, Uruguay, Panama, Botswana, St. Kitts and Nevis, Belarus, Lebanon, Mexico, Sint Maarten (Dutch part), Turkey with a respective GDP per Capita (PPP) of 17,500, 16,600, 16,500, 16,400, 16,300, 16,100, 15,800, 15,600, 15,400, 15,300 ($) and a global rank of 75, 76, 77, 78, 79, 81, 82, 83, 84, 85.10 years growthMauritius's GDP per Capita (PPP) had a positive growth of 60.0 (%) in the last 10 years from (2003 to 2013). 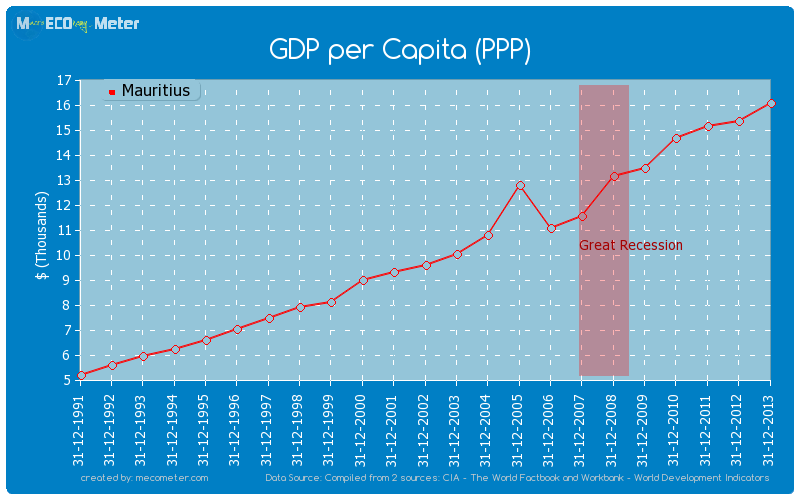 Last 10 years averageMauritius had an average GDP per Capita (PPP) of 13,136 ($) in the last 10 years from (2003 to 2013).